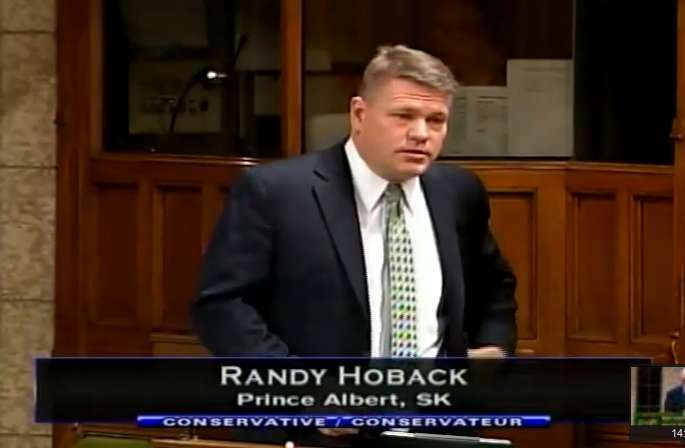 OTTAWA, October 26, 2012 – In the House of Commons, Randy Hoback, Member of Parliament for the federal riding of Prince Albert rose to speak in favour of the Bill C-45, Jobs & Growth Act 2012. Specifically, Hoback expanded upon the importance of how the Government’s changes to the Canadian Grain Commission will modernize it to reflect sectoral changes in agriculture. Hoback also endorsed the Government’s proposed changes to the Navigable Waters Act, as such changes will bring common sense to municipal infrastructure upgrades and installations. Mr. Hoback’s speech can be viewed by clocking the image below.